Well. It’s for real. 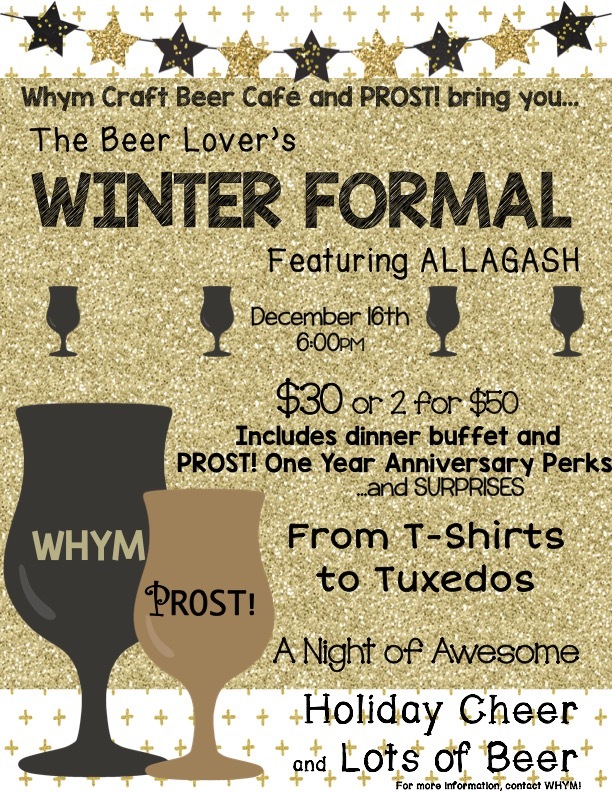 We’ve ditched the ‘Ugly Sweater, Pretty Beers’ thing…but there will still be dressing up involved. We’re throwing this party back…way back…to our high school days. Think awkward homecoming dances, semi-formals, and proms! Dress as awesomely as you did back then (the more ruffles….the better) OR come in a t-shirt and jeans, it’s your party. Since this is a new event…we’re trying something new. This will be a ticketed event. Tickets will go on sale November 29th. $30 for one ticket, or $50 for a pair. *Early access to Prost‘s TWO YEAR ANNIVERSARY PARTY! Tickets can be purchased at Whym.